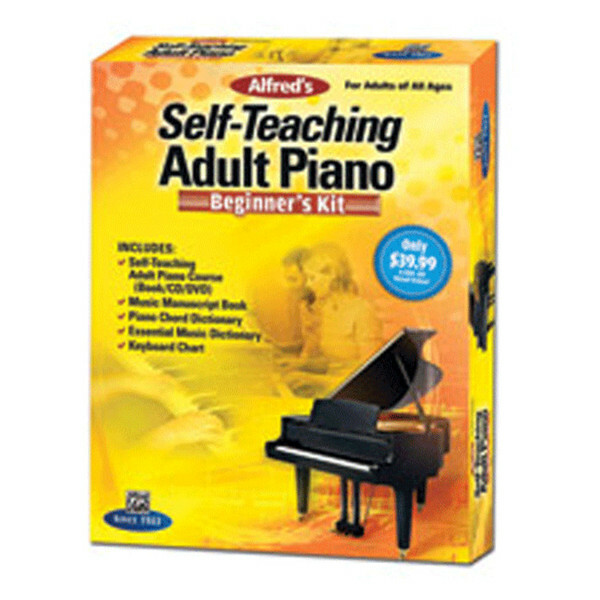 The Alfred Adult Piano book allows those budding piano players to teach themselves in their own time through an informative and productive manner. Included is a CD containing all 65 musical examples contained in the book. The accompanying DVD includes an introduction to all the pages in the book and performances of the pieces by well-known teacher, Gayle Kowalchyk. The Music Manuscript Book contains 64 blank, 12-stave manuscript sheets. Pages are 9" x 12" and printed on 100 recycled paper.